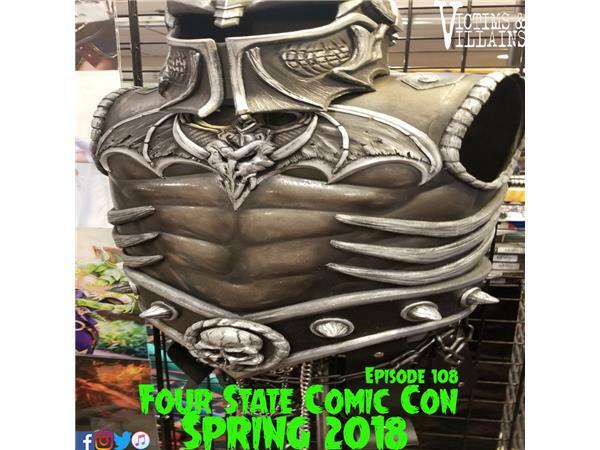 An Exclusive Look inside the Four State Comic Con of Hagerstown, MD. We're sitting down with cosplayers - Megami Cupcake, Intraventus, Sayakat, Sharon Rose & Kayley Marie. As well as fellow podcasters, The Hub Show (Check Out Our Spot on Their Show Here). Also spotlighting comic creators Chris Massari & Roy Okupe. Not to mention author Jessica Eppley & the good deliverers of Ghostbuster Tri-State Divsion. And of course for all your horror fans. Indie scene with Rita Christine, Erica Juxtapose Jones & Jesse L Green. It wouldn't be complete without Freddy love from New Nightmare actor, Miko Hughes.